This week I devoted Sunday morning to culinary adventures. I figured it would be a great day for baking cookies — before the weather heats up again as it’s scheduled to, and makes using an oven entirely unpleasant. First on my list? Peanut Butter cookies with little pieces of dark chocolate pressed into the center. 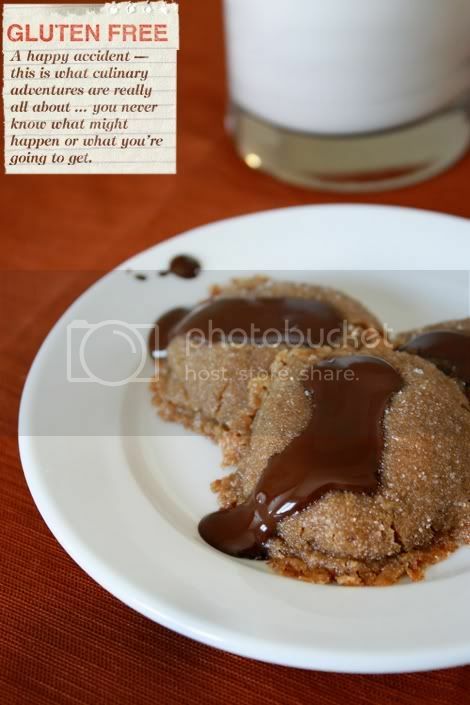 A lovely little pure vegetarian twist on Peanut Butter Hershey Kiss Cookies, was my thinking. Instead I ended up with a specimen that walks the line between cookie, fudge and cake. “What the heck are those?” asked my friend Paul when I sent him an iPhone snapshot after they came out of the oven. I called them Peanut Butter Unpretty Cookies, and they were a pure veg baking fail. I wasn’t even going to mention my Peanut Butter Unpretty Cookies on The Kitch, but then I tasted one and it was surprisingly delicious. This is what culinary adventures are really all about, especially when you’re attempting to veganize baked goods; you never quite know what might happen or what you’re going to get. Peanut Butter Unpretty Cookies taste as if your favorite holiday Hershey Kiss cookies enjoyed a fling with peanut butter fudge and made a homely love child. You definitely can’t serve them as cookies; they’ll fall apart when you try to pick them up. But if you can find it in your heart to look past their unprettiness and eat them with a fork, you’ll be glad you did. And if you want to lose the fork and try them as something different altogether, these accidental confections are amazing chilled — like little fudgey cookies. Here's what I did, I used soy yogurt as the egg replacer in a flourless recipe that called for one egg and no leavening agent such as baking soda and/or baking powder. In this case, the egg is both the binder and leavener, so a whipped flaxseed and water mixture would probably have been a better replacement. That, or spend some time experimenting with the ingredients further and adding another leavener to the dough mixture. I wanted soft, fudgey cookies but I also wanted cookies that would bake like cookies and not be too soft to pick up. For serious Kitchen La Bohème purposes, I plan to keep trying my hand at pure veg peanut butter cookies for the win. But in the meantime, if you’re starting to feel like you just might have it in your heart to give my messy but tasty Unpretty cookies a try in order to have your own culinary adventure, the recipe follows. Mix the cookie dough: Add the peanut butter, brown sugar, cane sugar, soy yogurt, vanilla extract and salt to a large mixing bowl. Beat together with a handheld mixer on low until combined. Prepare the cookies: Use your hands to roll 1-inch balls of dough. Drop each ball in a bowl of cane sugar and roll around until lightly coated. Place balls on a foil or parchment-lined baking sheet and bake for 10 minutes. 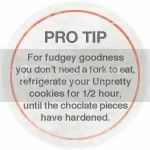 Remove from the oven and gently press a piece of dark chocolate into the center of each ball. Return to the oven for two more minutes. Remove the cookies from the oven and allow to cool for 5 minutes. Serve, and enjoy your Peanut Butter Unpretty Cookies with a fork and a cold glass of lightly sweetened almond milk on the side. Thanks! I recommend them chilled, they were especially good that way and much less messy. Actually, those ones in the photo make me want to eat them. They look just baked, warm and really soft!